Back in January I took a short trip back to my motherland, Hong Kong, before heading on for a couple of weeks in Vietnam. This time I had a friend in tow who'd never been, which is one of the most exciting ways to visit your home city, and show off all your favourite haunts. A lot of the places I've mentioned before, but isn't it good to know that there's consistency? 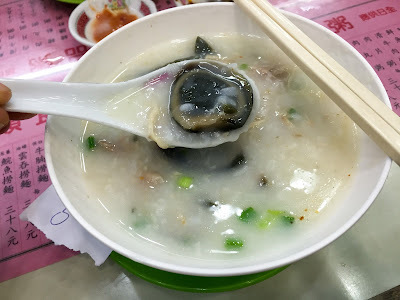 Let's start with Kau Kee, in Central. I can't miss coming here for their beef brisket noodles; they're just so good. Curry tendon with e-fu noodles, an iced lemon tea and a side of vegetables will cost you under a tenner and it's so frickin' good. I know a lot of people are put off by the gelatinous nature of tendon, which can look a bit like pure fat but my mother tells me its very good for me and will keep me looking young. Full of collagen, guys. It's very small and there's sometimes a queue and you will be required to squeeze into the tightest spot but you will if you know what's good for you. We followed this almost immediately with a bowl of wonton and fish ball noodles from Tsim Chai Kee. 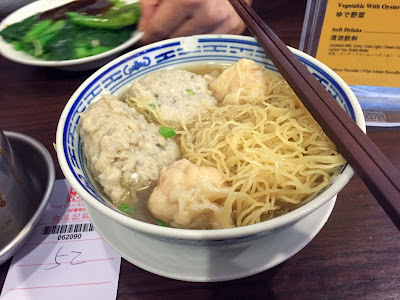 I've been torn between them and Mak's Noodle for best wontons, but the fish balls here are so good - properly bouncy, rough-hewn and with a hint of dried orange peel - that I've picked them as my winner. My friend called mercy but I wasn't having any of it and I marched her off to Din Tai Fung. 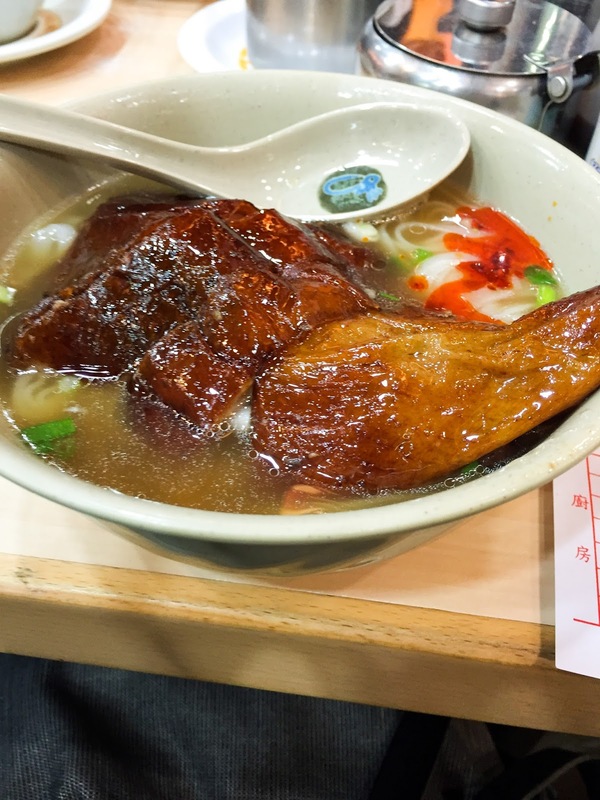 They have a few in Hong Kong, but I've always gone back to the branch in Kowloon, in Silvercord shopping centre. Maybe because I know it's big. 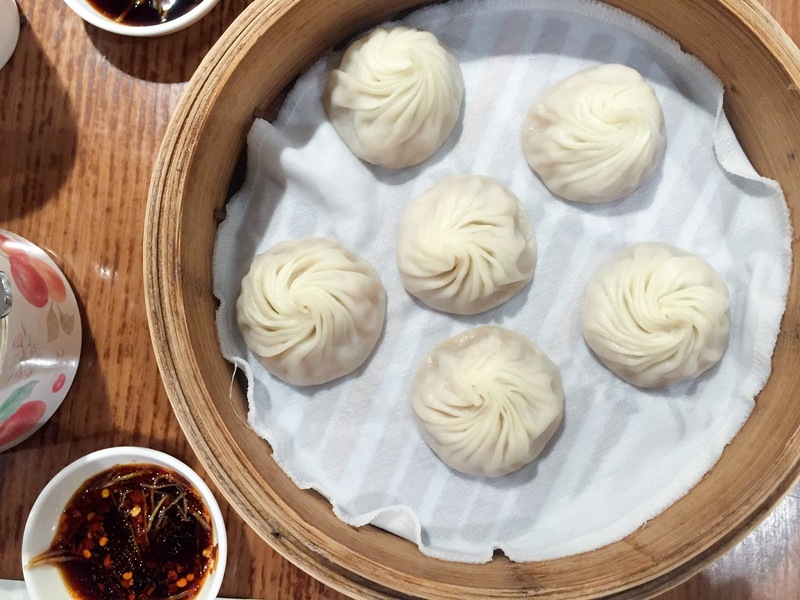 Anyway, they are the epitome of efficient and you can pop in for steamer of dumplings and be out of there in half an hour. Every time I say I'm going to go with a bigger appetite and try more of the menu. Every time I stuff myself silly on the soup dumplings. I go every time I go to Hong Kong. Hell, I went to the back of the beyond for another branch of Din Tai Fung when I was on a business trip in Seattle. Why oh why won't they open in London? 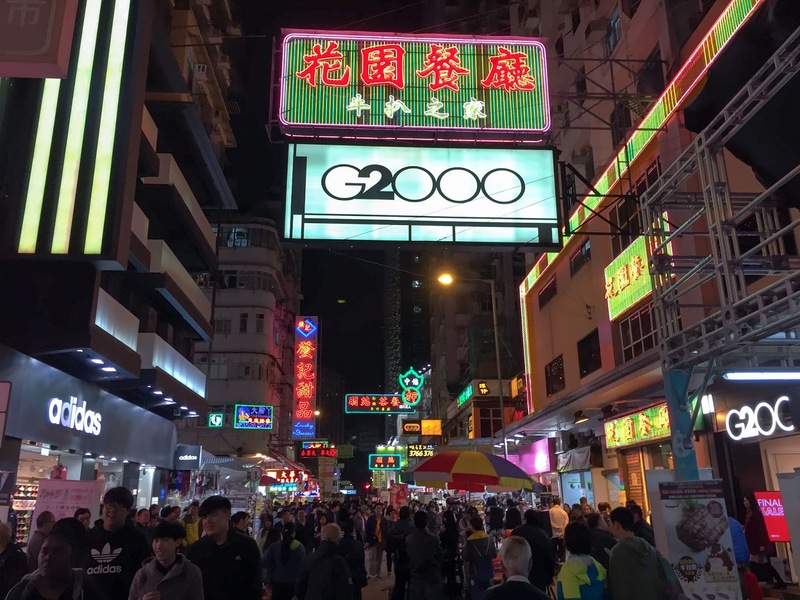 Temple Street Night Market is over on Kowloon side, and it spans the length of a street, selling electronics, clothes and souvenirs. Most of it is tat, but I don't go there for the shopping. 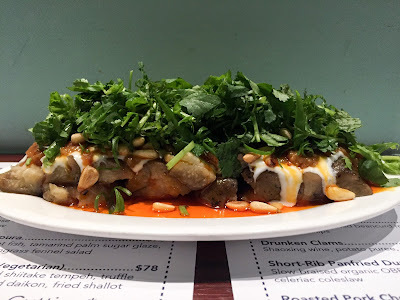 The restaurants that surround the stalls are properly spit n' sawdust - plonk yourself down on a rickety plastic stool, have a nose at whatever everyone else is ordering, and follow suit. I LOVE their melamine crockery too. 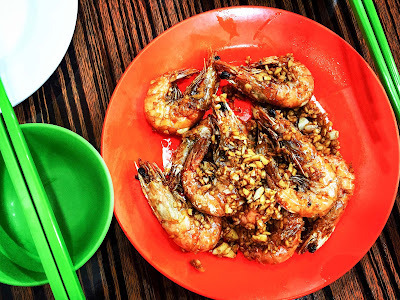 We had prawns covered in as much garlic that would possibly coat them, all sticky and messy eaten with our fingers and sheets and sheets of tiny napkins. Scallops had the hugest roes I've ever seen, and they were steamed in their shells with black bean sauce, soy sauce, a little chilli and spring onion. 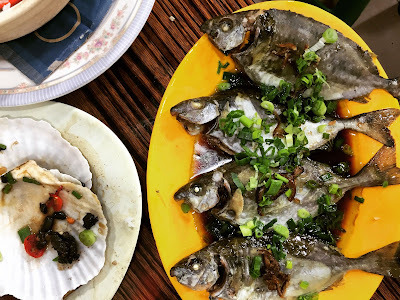 We ordered rabbit fish since they sounded cute, and these were served simply steamed with ginger, garlic and soy. Along with steamed claypot rice with Chinese sausages and a couple of beers, this set us back about £25. Traverse the length of the street just to make sure, follow your nose, look for the restaurant with the biggest crowd and squeeze in. Jordan is the best MTR stop for Temple Street Night Market. For breakfast, we hit Australia Dairy Company which is your classic Hong Kong cha chaan teng (tea house). They are famous for their thick, crunchy, fluffy toast with the creamiest scrambled eggs. I'm not sure I could have taken a more revolting picture if I tried so I'm not going to share that with you - they will squish you into the tightest space imaginable to fit you in which isn't conducive to good snaps. But the eggs are glorious. 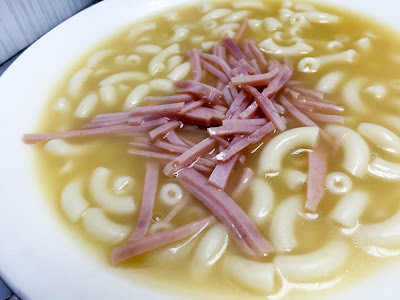 The Hong Kong classic of macaroni in chicken broth topped with shredded ham is pure comforting nostalgia to me, the food of my childhood and it comes as part of a breakfast set. I don't expect people who haven't grown up with it to 'get' it but go for the eggs and you might be pleasantly surprised. 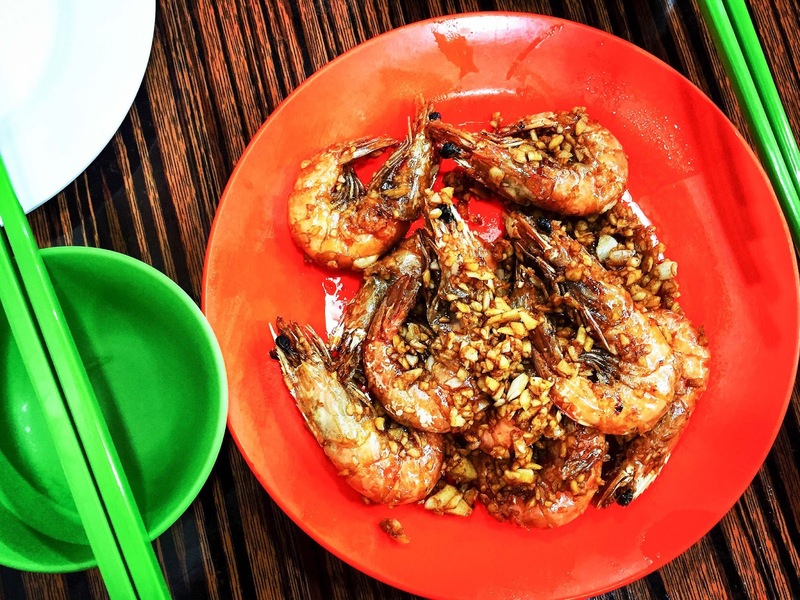 They're open till 11pm, so you can go all hours of the day for classic Hong Kong-style food. 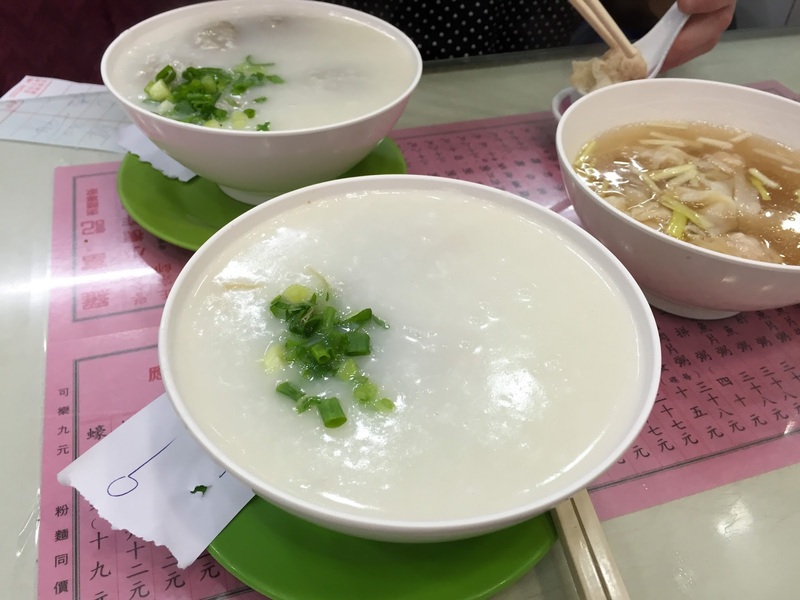 My friend had never really had congee before, so we went to Law Fu Kee in Sheung Wan to load up before we went off to our hike. The congee was thick and creamy, the rice grains just discernible. I had preserved egg with pork slices, while she stuck to beef. A side of wontons in broth set us up nicely for the morning. As an aside, Dragon's Back is well worth doing. 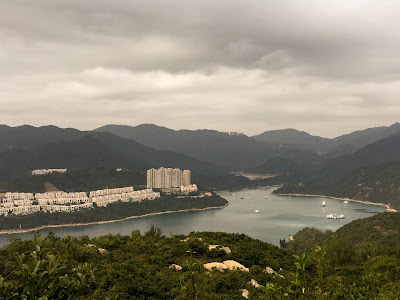 A 1.5 hour or so hike from the Shek O road, you get 360 panoramic views. It's often surprising to people that Hong Kong island isn't just one giant concrete jungle. We have beaches, reservoirs and giant golf courses. 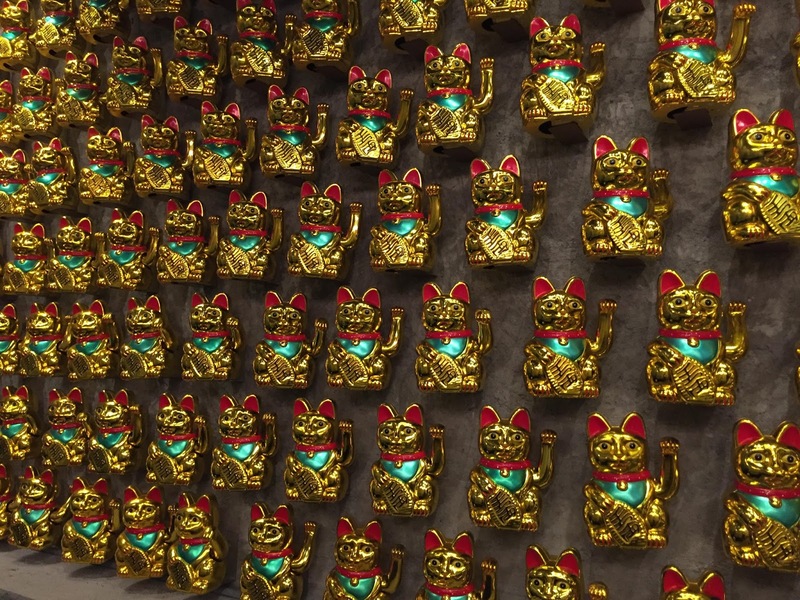 That sort of thing tends to make you work up an appetite, so we headed to Ho Lee Fook for dinner. Geddit? Their website says they are a "funky chinese kitchen inspired by old school hong kong cha chaan tengs and the spirit of late-night chinatown hangouts in 1960’s new york" - all of my favourite things! We had to go. It's trendy. 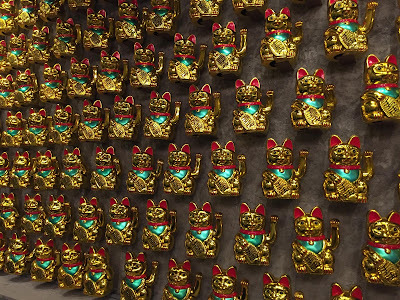 From street level it looks like your normal open kitchen with roasted meats hanging in the window, until you do an about-turn to the wall of waving cats. Downstairs it's properly dark; we felt our way to our table. Yes, that is a caveat for the terrible light in my pictures. The menu is massive. I wanted to eat everything on it but that was not to be, for we were merely two. 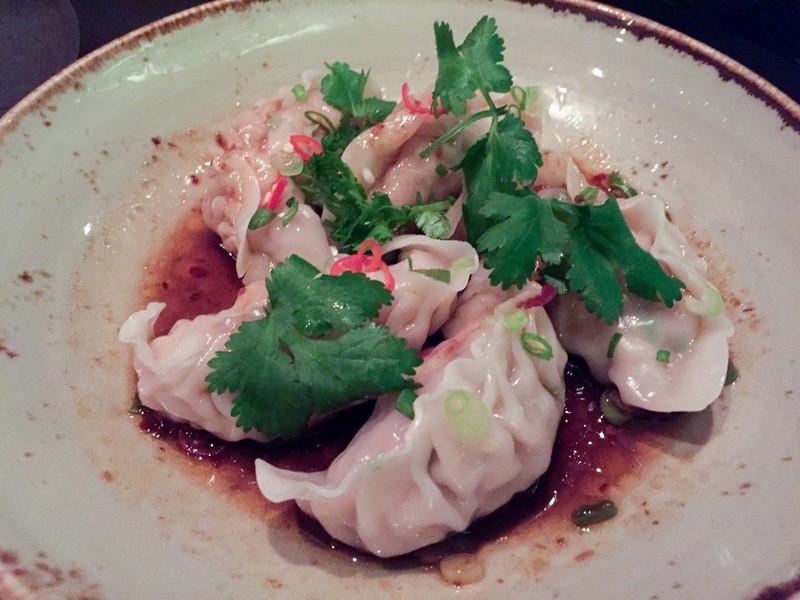 Instead, we opted for some dumplings which were pork, "mostly cabbage" and great for it. Doused in sacha soy dressing, they were incredibly moreish. Accompanying these, we slurped down cocktails made with Pocari Sweat (only the best damn drink in the world) in plastic cartons. We knew the roasted meat was not to be missed. Unfortunately the "Roast Wagyu short ribs, jalapeño purée, green shallot kimchi, soy glaze" clocking in at around £45 was out of our league (and probably our stomach capacity) so we opted for Kurobuta char siu (barbecued pork). We were asked if we preferred lean or fatty and I'm sure you can guess what we went for. Sweet Jesus but it was glorious. Juicy, sweet, smoky. We despaired that we hadn't ordered any plain rice for mopping up those juices with. The best £16 we ever spent. When our rice did come we were also presented with plastic gloves. 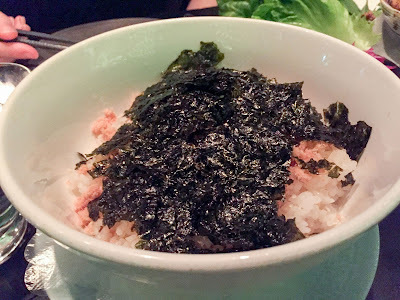 Apparently you're to mix this rice with your hands, to really get the seaweed, sesame and pork floss in there. It was good fun, and seriously messy. It really makes you aware of how often I might touch my face when I emerged, blinking in the lights, covered in flecks of seaweed. 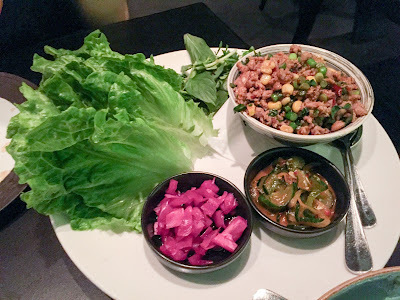 Continuing the theme of eating with our hands, the sang choi bao (fresh vegetable wraps) were pork, with cucumber kimchi and pickled ginger. I loved this; refreshing, interesting and unexpected flavours from a Cantonese classic. 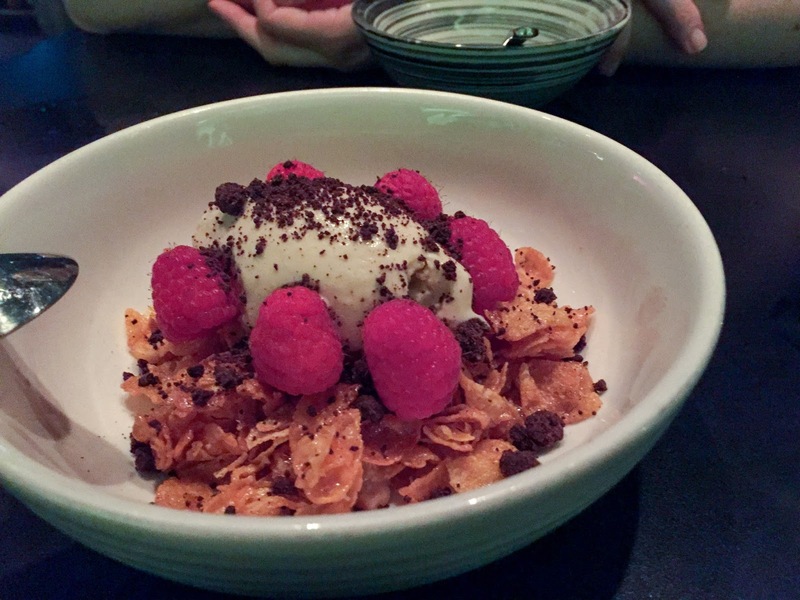 To finish, "Breakfast 2.0” Horlicks ice cream, cornflake honeyjoy, oats, dried longan, cocoa coffee crumbs"- it did, indeed, taste like the best kind of breakfast. If only my desk muesli could come anywhere close. Ho Lee Fook isn't cheap, and it certainly wasn't the kind of prices we had been paying in old faithfuls like Kau Kee. At around £40 a head though, its not bank-breaking and given the high quality of the ingredients and cooking, it made for pretty great value for money. 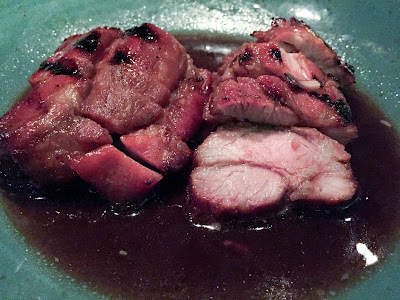 I'm still thinking about that char siu. We slowly came to realise that to eat at all the places we wanted to try, we were going to have to up our game somewhat. That's when two dinners came into play. 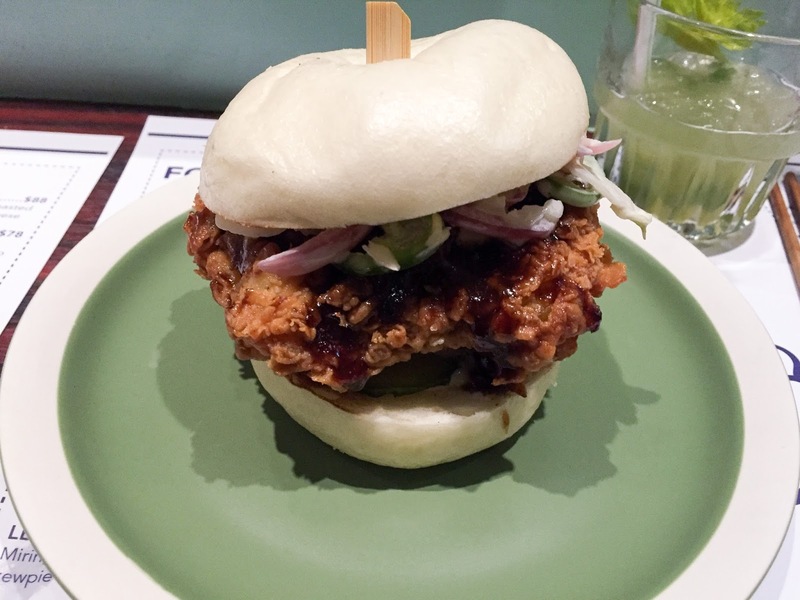 Dinner Number One: Little Bao. It's a tiny little joint, maybe about 25 seats, and as such you have to wait. We did but it was only for 10 minutes thank god, because the food they were turning out looked incredible. It's easy to compare Little Bao to our own Bao but the two are far apart; Bao has the serenity and discipline of classic Taiwanese cooking updated for Soho, whereas Little Bao is this cheeky young thing, dipping her toe in all the fusion seas. We kicked off with a light salad of aubergines, which was actually a giant pile of delicious smoky vegetable topped with a spicy yogurt, pine nuts, and coriander. We devoured it. 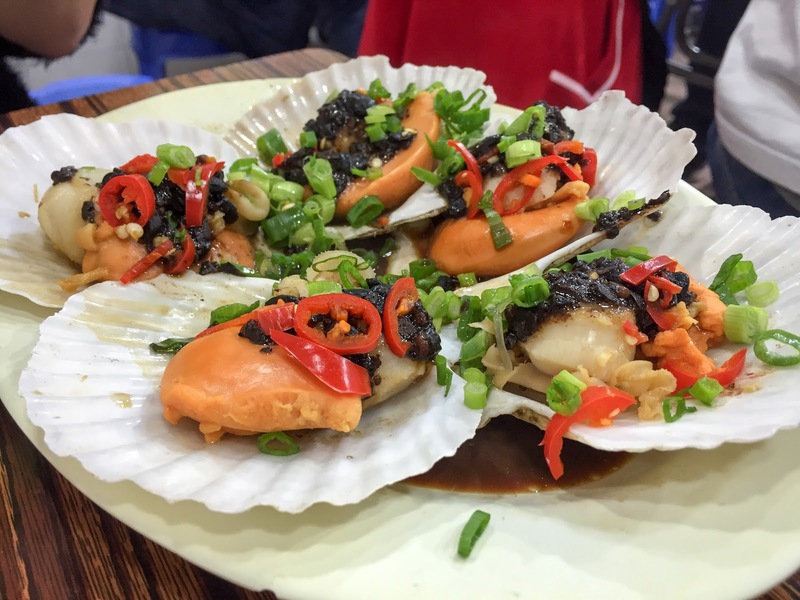 The baos on the menu are announced with "NO CUTTING". I don't know why. Seems harsh. The Szechuan fried chicken with Chinese black vinegar glaze, Szechuan mayo and coleslaw I was happy not to cut and have all to myself except we were supposed to be sharing, humpf. It was perfect; battered chicken, crisp as you like, with a tangy, punchy mayo. Did you know I love Filet O'Fish from McDonald's? Have you tried one? You should. 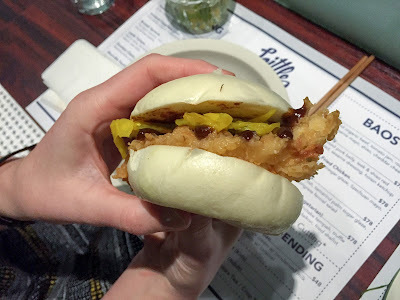 The fish tempura bao reminded me of it, but in a really posh way with it's fancy lemongrass and fennel tartare and tamarind palm sugar glaze. 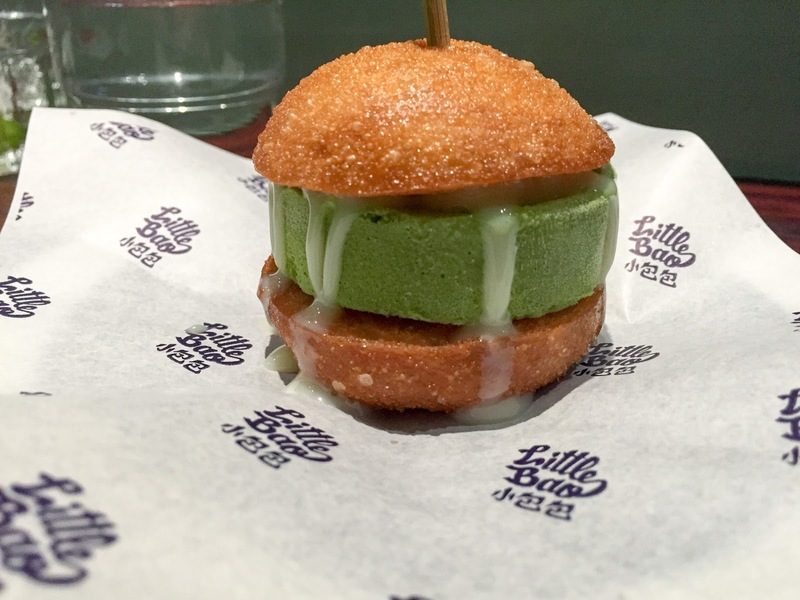 If that wasn't enough, the dessert fried bao with green tea ice cream and condensed milk was almost too cute to eat. But we ate it. It was incredible. 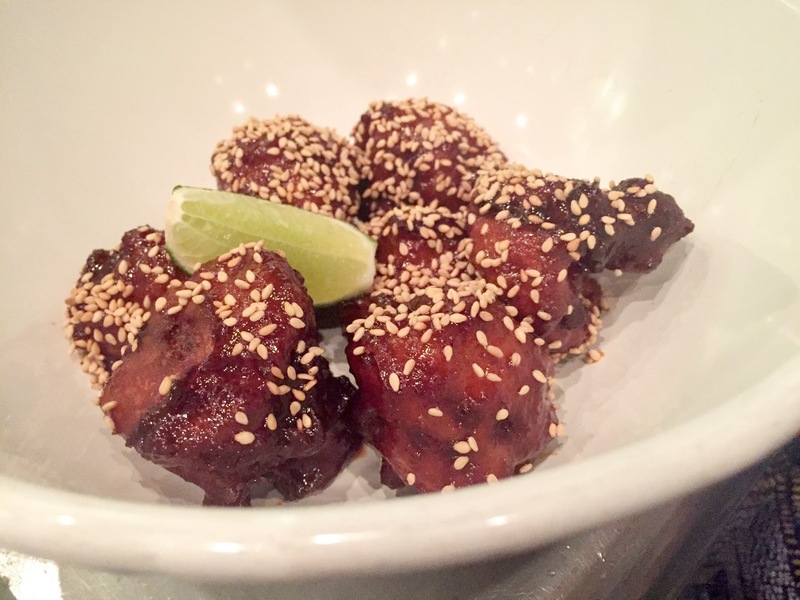 We were almost hysterical with fullness by the time we got to Yardbird, for what would be our 6th meal of the day. We kept erupting into uncontrollable giggles. I think the bar staff thought we were odd. 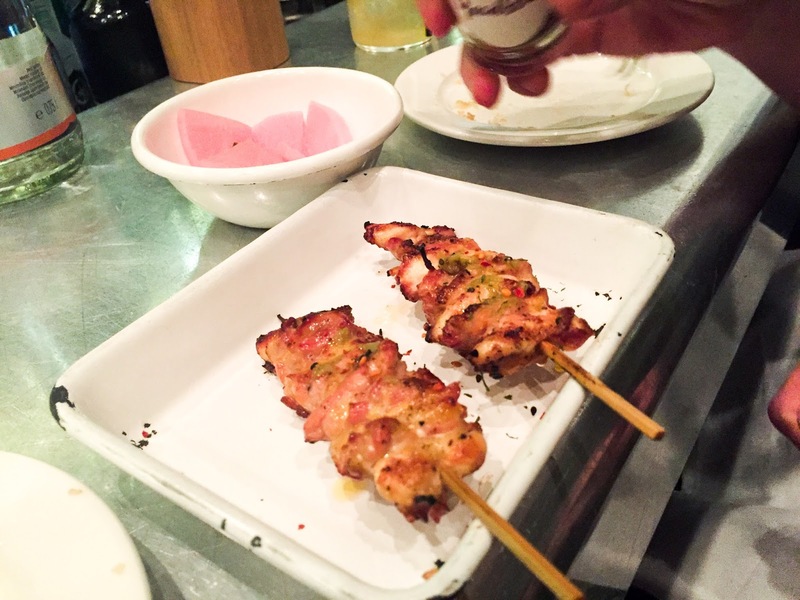 They specialise in yakitori; grilled skewers of usually chicken, over charcoal. We propped up the bar with whiskey cocktails and got to ordering. 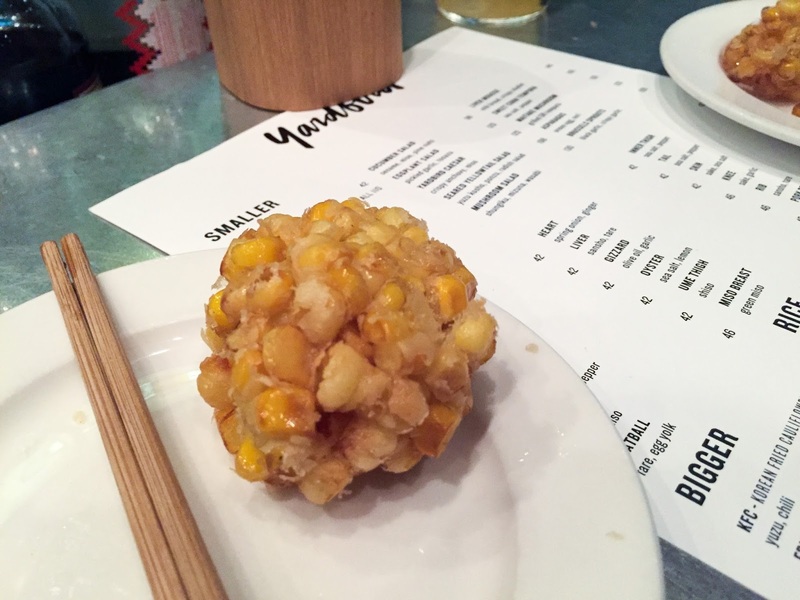 Tempura sweetcorn was exactly that, and we were impressed they'd managed to make them perfect balls. Then followed a frenzy of skewers - we ordered chickens knees, meatballs that you dip in a goey egg yolk, chicken necks, chicken skin... and the skewers just kept coming. I was a bit surprised that they came as twos, as it wasn't specified as that when we ordered - my friend wasn't enormously keen on chicken knees and probably would have sat that out, but that was decided for her. 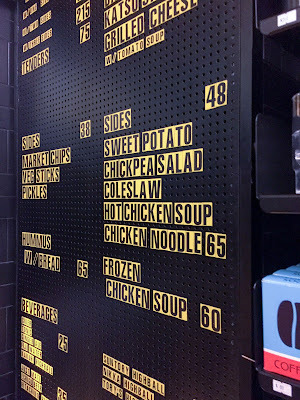 I was also surprised to see that the skewers, charged between $42 - $46 (that's around £4 - £5) are per skewer. 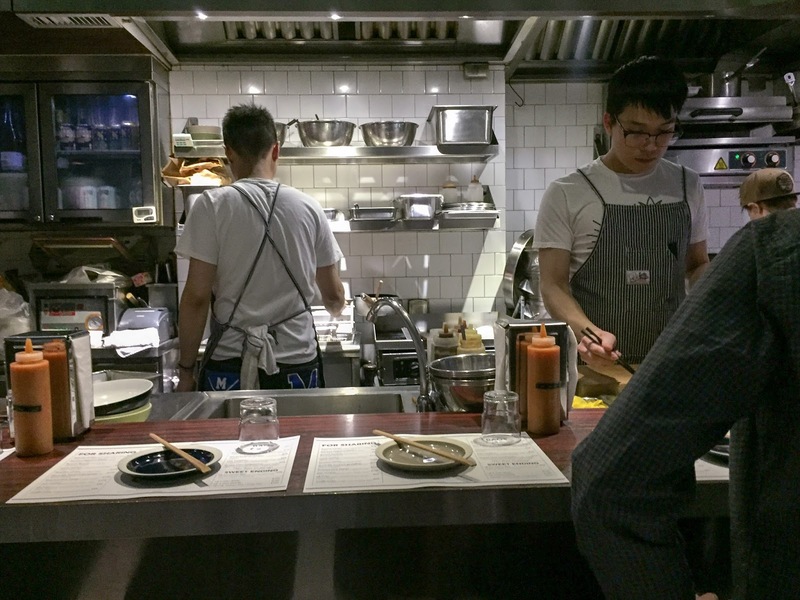 I should have twigged really; at Little Bao a dreadfully dreary waiter had intoned about Yardbird being expensive, since "they insist on using free-range chicken, eyeroll". Hey, that's cool with me. You pay for quality produce. They made up for it when we tapped out at Korean Fried Cauliflower, which was completely delicious but absolutely enormous, and defeated us. The waiter was aghast that we hadn't been offered the half portion, and immediately changed our bill to reflect that, which was nice. It was so, so good. I feel a recreation coming on. I like Yardbird's vibe. So much so that on my 10 hour stop-over on my way back from Vietnam via Hong Kong again, I went down to Sunday's Grocery in Kennedy Town. Along with Ronin, a higher class Japanese joint, they're all owned by the same people. Maybe I'm dense, but the website doesn't make it enormously obvious that Sunday's Grocery is a takeaway hole-in-the-wall, but luckily the friend I was visiting did. We grabbed sandwiches, cans of mixed whiskey drinks (they really like their whiskey) and headed to her apartment. 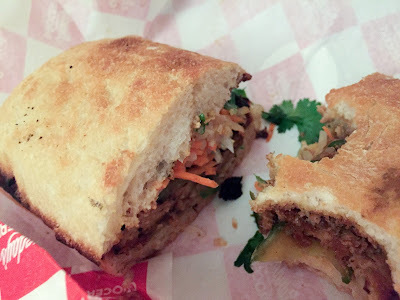 The chicken katsu sando was all sold out (wail) and bemusedly I took the server's recommendation of the banh mi - I had just come from Vietnam - and he was right, it wasn't like any banh mi I'd had. Here we were strong on the liver, big on the pickled vegetables. The bread wasn't the airy baguette I had come to know and love, but nevertheless, it was a pretty great sandwich. The bite of chicken schnitzel I had was tip top too. I would like more places to sell me cans of whiskey soda, please. I've saved the best for last. I came here both at the beginning of my trip, and made an instant beeline for it during my stopover two weeks later. Yes, Yat Lok's roast goose is hardly a secret, but it really is so good. 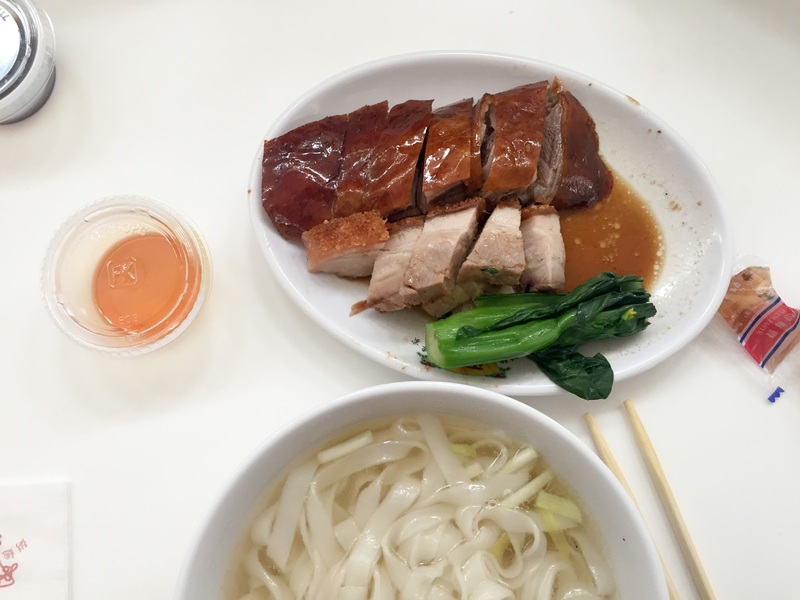 Perfectly, beautifully lacquered skin and succulent meat, the first time we came we ordered a quarter, to eat with lo mein (noodles to stir) served on the side. We just ate and ate and ate the goose, sometimes with a bite of steamed vegetables in between, a blissful look on our faces. I went back on my own and had a goose leg in soup, with ho fun noodles just to make it a well rounded meal. Stunning stuff. Ol' sad-sack over at Little Bao told us the Tai Po branch was better, which I'm sure it may well be but if you haven't the time to hike out to Tai Po, the Central version still blew me away. 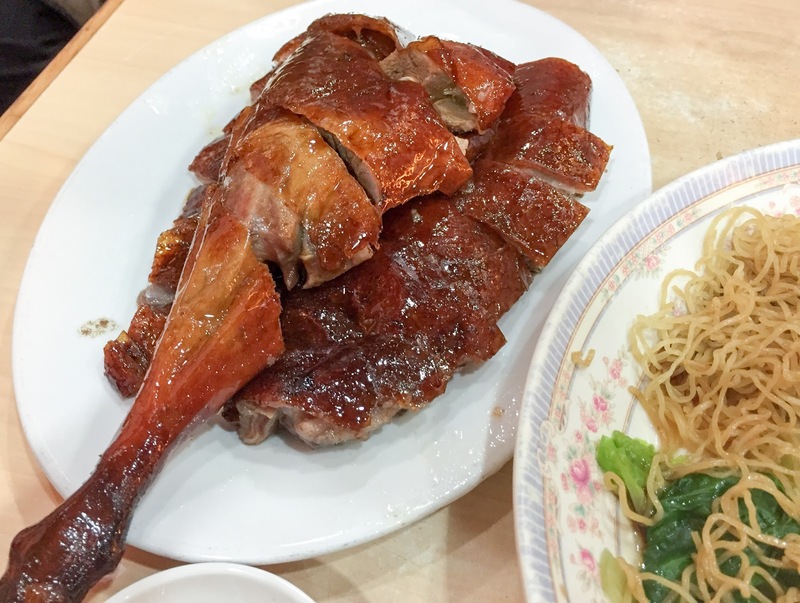 I'm fairly certain it would be quite difficult to eat badly in Hong Kong; my peoples just wouldn't stand for it. Even in the airport (roast goose and crispy belly pork, pictured) the food is better than you'd find in a lot of London restaurants charging double for it. All this food looks amazing! I need a trip to Hong Kong soon. Charlene - yep, I love that melamine crockery! Andrea - lucky you! You're going to eat very well indeed. This post is gold dust. 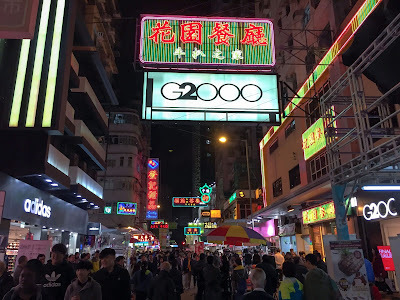 I've been in Hong Kong for two weeks and eaten at many of these places. All of them have been great. 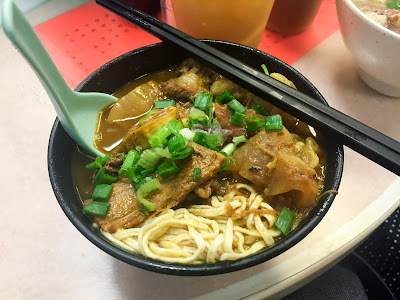 I'm just back from my second trip to Tsim Chai Kee. Those wontons are amazing.